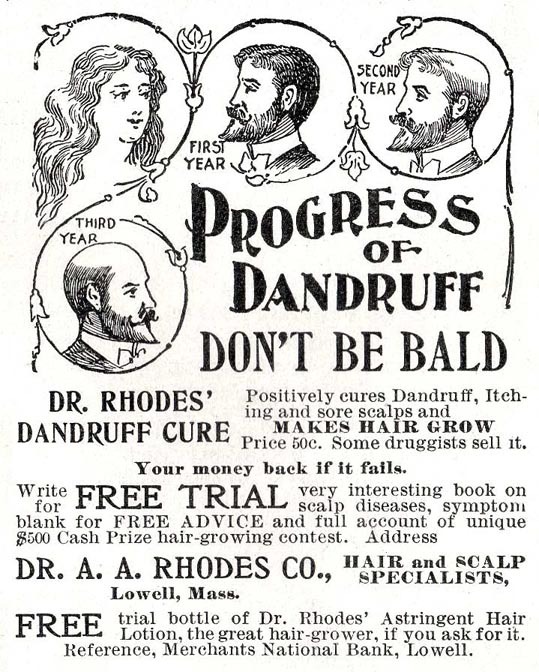 Dandruff causes baldness now? And the let's dope up your husband without his knowledge one is just a classic :). I don't think that's the cause of baldness. And obviously that first ad is bunk! Seems people's health has always been a way for someone else to make money. 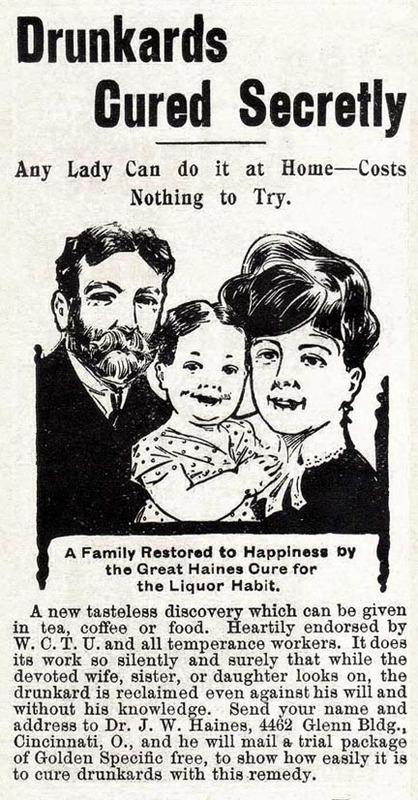 Love the first one, "Drunkenness cured secretly." Would love to know what is in the secret recipe! Thanks for bringing a smile to my face today. 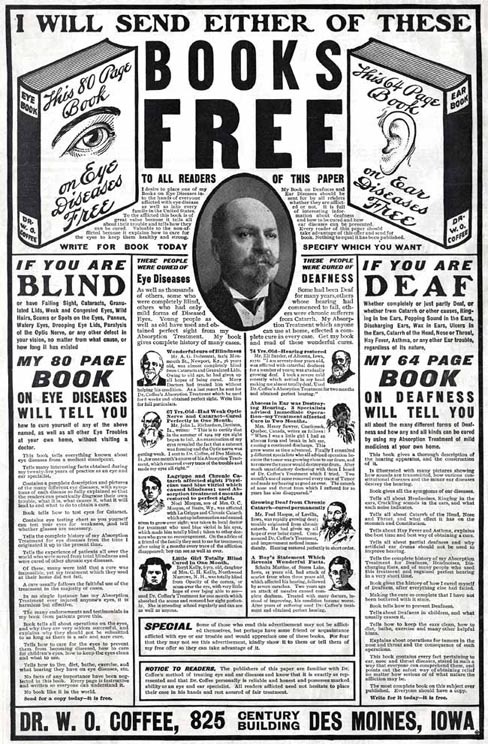 LOL, blind and deaf. FUNNY stuff. Loved the alcohol cure. I scrolled down and enjoyed the Daisy rifle feature, as well. Thanks for visiting my blog. Oh my, these are funny. The old ads remind me of when I was living in Alaska in the 70's. After arriving all of us newcomers got very ill (probably due to the old-timers opening all the windows at 30 degrees and going outside in shorts.) We thought they were crazy! They brought out something in a tall brown bottle called Dr. Buckley's Miracle Cure. No kidding! The stuff was thick, yellow and nasty! In about a week or so, we were better though. Not sure if it worked, or the illness ran it's course. These are a lot of fun. Thanks for visiting Buttercupland and happy A to Z! That kid and the mom in the first ad are scary looking ...their mouths look stitched!